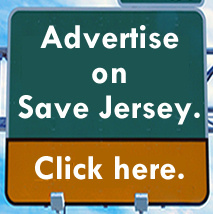 Election 2018 is only one week away, Save Jerseyans. Praise the Lord! Pumpkin pie, jingle bells, football playoffs, and a brief respite from political commercials is almost here; it’s truly the most wonderful time of the year. Bring it ont. In the interim? We haven’t updated our Save Jersey race ratings since mid-summer, so now is as good a time as any to share with you our sense of where this year’s major N.J. federal contests stand as we round third base and sprint for the home plate. I’m not going to do a huge recap for each district (assuming most of you are reasonably well-acquainted with N.J. politics), opting instead to stick to what you really need to know. At 30,000 feet? I believe things are presently a little better for Republicans here, as elsewhere, compared to the summer or even early fall. Less so than some places obviously because New Jersey is bluer than the country writ-large, sure, but better thanks to the base-rallying Kavanaugh debacle among other factors. A little better. It’s still entirely possible that we’ll all wake up on November 7th to find only one or two Republican members of the House delegation left standing. What can we add to what the Cook Political Report already said last week? Yes, Hugin trailed by 7-points in the RCP polling average as of October 28th. Yes, New Jersey hasn’t voted for a Republican for U.S. Senate since before Watergate. But it doesn’t feel like “Menendez in a walk” does it? Click here if you want to take a deeper dive with me into the race dynamics (and some cool historical parallels). Don’t trust my gut? Fair enough. Look to the campaigns themselves: they’re acting like it’s close with both Hugin and national Democrats dumping millions of extra bucks into the race at the 11th hour. There’s no shortage of better places for Democrats and Chuck Schumer to spend their cash this October. Hugin is giving them a real scare. Follow the money. 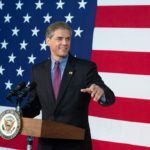 Is there life for the NJ-02 GOP after Lobo? Like all of the districts in this analysis, sprawling NJ-02 isn’t “blue” by any means, voting for Donald Trump in 2016 and, in a recent Stockton poll, giving GOP U.S. Senate nominee a sizable lead over Democrat Bob Menendez. 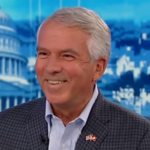 There’s no sign that Hugin’s decent position is rubbing off down-ballot. The scrappy Jewish Republican nominee Seth Grossman is cut off from national party support, rightly or wrongly, after making some controversial statements concerning race and other sensitive topics; he’s also running on a shoestring fundraising operating, and he’s facing a well-known Democrat opponent (state Senator Jeff Van Drew) who does a frustratingly effective job of masquerading as a moderate Democrat alternative for the largely rural and ‘working class’ district. The odds are long. I wouldn’t be surprised if Grossman does considerably better than the 17-point margin recorded by Stockton University, but I’d be equally surprised if he upset Van Drew this time around. Let’s hope the South Jersey GOP gets its s–t together in time for 2020. If Democrats take the House, a “Congressman” Van Drew might have a tougher time feigning fealty to centrism in D.C. than in Trenton where Democrats, buoyed by large majorities, don’t typically need his vote on key legislation. What’s changed? 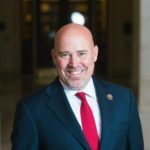 For starters, Democrats are on pace to spend $7 million smearing Tom MacArthur who courageously waded into the ultimately unsuccessful effort to ‘repeal and replace’ Obamacare and supported the President’s tax cut package. Democrats ordinarily wouldn’t have the spare coin to pick a fight with the personally wealthy MacArthur in a normal cycle. 2018 isn’t normal, so the race is a dead heat following a withering Democrat television assault (MacArthur leads the RCP average by 0.3-points). On the bright side? It’s worth noting that MacArthur (1) won in 2014 by 10-points despite losing Burlington County by 400 votes to a then-sitting Burlington freeholder and subsequently (2) got reelected in 2016 with 60% of the vote, so I’d still rather be him than Democrat challenger Andy Kim. MacArthur’s nevertheless in the midst of the fight of his relatively brief congressional career largely because Burlington County is demographically trending leftward. 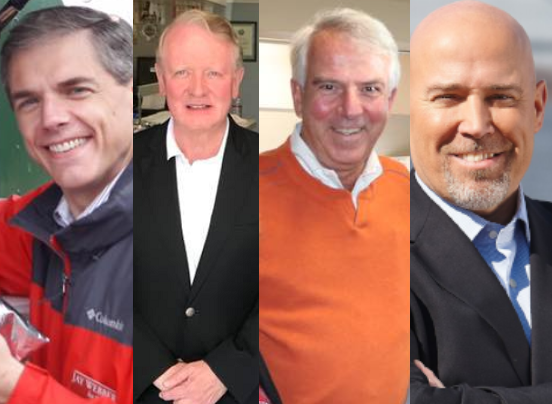 Its county GOP candidates are in a neck-and-neck fight to save their own majority in Mt. Holly after Kim Guadagno got creamed by Phil Murphy in the Philly suburbs last fall. So how much does MacArthur lose Burlington by? A hair? Or a landslide? And does rock-ribbed red Ocean County — the other half of the district — come out strong enough to compensate? TBD. This is a bellwether race. It’ll fetch national attention on Election Night due to MacArthur’s relationship with Trump; a MacArthur loss in this lean-Republican district would also likely mean that the mythical “blue wave” materialized after all. Unlike his Democrat colleagues in NJ-03, NJ-07, and NJ-11, Josh Welle never quite got his footing in NJ-04, a strongly Republican district encompassing much of the legendary Jersey Shore and represented by Chris Smith (the 12th longest serving member of Congress at present). It’s been one misstep after another for Welle. He needed to be perfect in the race even in a hypothetically strong Democrat cycle and he was, well… far, far from it. This is also one of the few N.J. House districts where the Democrat has less cash on hand than the Republican down the home stretch. 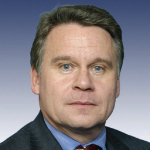 Chris Smith might be the only N.J. Republican in Congress come January. He might not be. But he’ll be there either way. Count on it. This extreme-North Jersey race is a similar story to NJ-02 but arguably MUCH more frustrating. Here, too, I’d wage that the final result will be closer than some prognosticators expect because (1) the sprawling district which takes in Skylands Country and much of the Water Gap isn’t blue (a familiar theme in this post), voting for Trump in 2016, and (2) there’s a common belief held on both sides that a healthy chunk of voters believe John McCann is ‘John McCain’ so the Republican challenger’s name recognition is unusually high (gotta love those plugged-in voters). Unfortunately, Gottheimer is a fundraising behemoth and McCann is the FEC equivalent of penniless. Getting outspent is one thing. The fundraising gap in this race is like the difference between real estate in Manhattan and Mogadishu. Still, McLaughlin & Associates recently found McCann trailing by a mere 9-points. 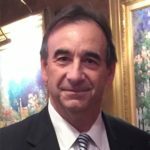 If NJ-07 and/or NJ-03 go south on Election Night? Some Republicans are going to regret forfeiting this district. It’s a scandal in my humble opinion. Sorry, but there was never a chance that a “centrist” Republican running in a suburban Central Jersey district carried by Hillary Clinton two years ago was going to have anything other than a long night on November 6, 2018. That weird NYT/Siena College poll found Lance leading by 1-point. “Flip a coin,” one veteran Somerset County Republican politico told me when I inquired about Lance’s current condition. Working in Lance’s favor? Years in the state legislature and Congress have given him a ton of name recognition which is worth something even in anti-incumbent, so-called “change” electoral environments. For Malinowski to succeed? He’ll need to run up the score in Union County and win the purple-ish communities of lean-Republican Somerset County, a region which is about a decade behind Burlington County in terms of demographic transition but quickly following suit. This contest is a bellwether of a different sort. Unlike his colleague MacArthur, Lance has run hard AND fast away from Donald Trump, most famously (or infamously, depending upon your perspective) voting against the historic tax reform package. He’s been running ads touting his endorsement by former Congresswoman Gabby Gifford’s anti-gun group. If Lance wins? Anti-Trumpers will say he made the right call. If he doesn’t AND other incumbents of the MacArthur mold survive? Then the MacArthur ‘pragmatic’ model (working with Trump in an open albeit less-than-sycophantic fashion) could gain currency in many blue state establishment GOP circles heading into 2020. The battle for this Morris/Passaic/Sussex district is next week’s marquee match-up depending who you ask. In one corner? Mikie Sherrill, a female Navy pilot turned Democrat House nominee who, at least on paper, looks like she’s right out of central casting. In the other? 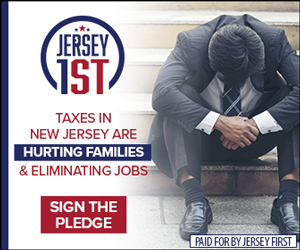 Jay Webber, a 40-something, Harvard Law-educated Republican Assemblyman and former NJGOP chair considered among the long-declining state party’s few remaining future state-wide prospects. At stake? The obvious stuff including whether the much-reported defection of educated, suburban, Trump-phobic white Republican women to the Democrats is a real thing. 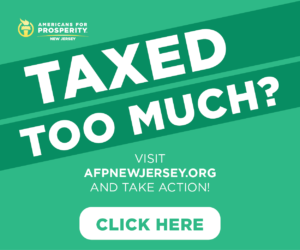 Sherrill never busted upon a solid lead notwithstanding a huge fundraising discrepancy in the wealthy North Jersey district long-represented by a retiring Republican household name in NJ-11: Rodney Frelinghuysen. Her inability to breakaway convinced national Republicans that this particular front in the war for the House is still in play; Trump himself held a fundraiser for Jay Webber last week which reportedly fetched hundreds of thousands of much-needed dollars for the close, and a parade of top-level surrogates (Paul Ryan, Kellyanne Conway, and VP Mike Pence) have all been to NJ-11 this fall. It’s similar to the Hugin situation insofar as there’s simply too many other worthwhile places to be in October were this one not genuinely close. Both camps clearly believe it is. Next Next post: WITHIN REACH? New poll finds Menendez as unpopular as Trump in N.J.